Chicago is a rich patchwork of neighborhoods, from Mexican-American melting pot Pilsen to gritty, beautiful Uptown to Little India on northerly Devon Ave. “What’s Hot” lists and clusters of restaurant and bar openings in trendier areas often take our attention away from worthy dining destinations that have been right in front of us for decades. This inaugural edition of Unsung Culinary Heroes takes us a few blocks past the buzzing West Loop—and three-ish miles due southwest of Ambassador Chicago—to Greektown. 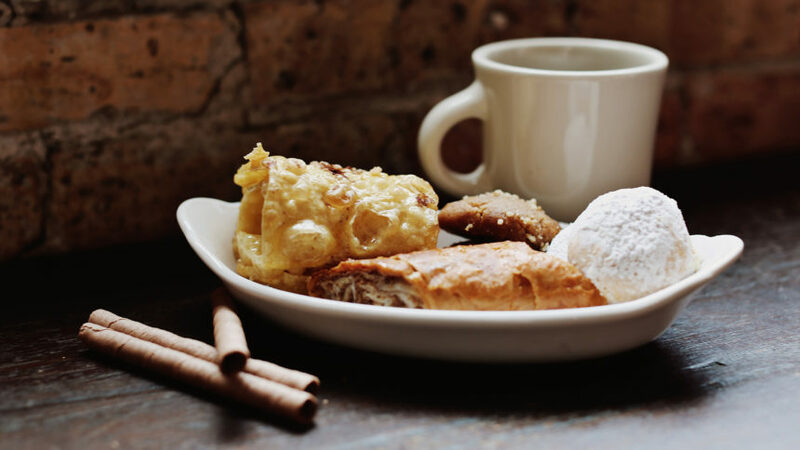 You may associate Greektown first and foremost with flaming cheese and gyros, but this bustling cluster of blocks around Jackson and Halsted also boasts some of the city’s best seafood, pastries, affordable, food-friendly wines, and brunch. Many of the eateries that opened their doors in the ‘60s and ‘70s are still around, making this area unique in the fast-turnover world of restaurants. 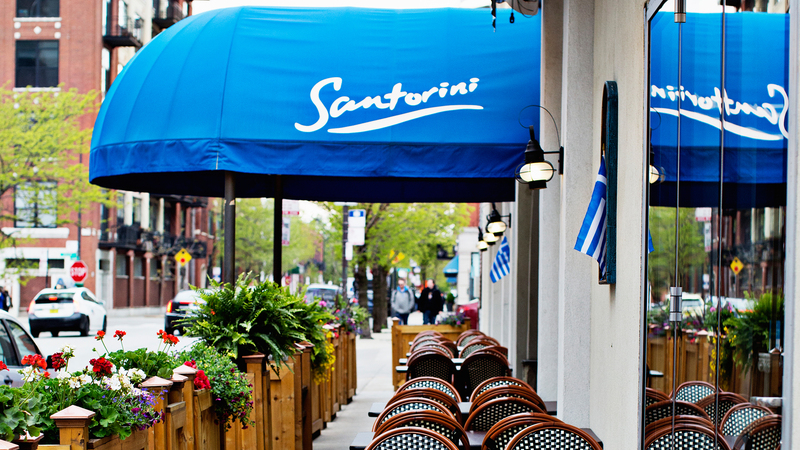 Check out our dining faves in Chicago’s own Little Greece. It’s no secret that the Greeks have a way with seafood, and one of the best spots to experience said mastery is at this 30-plus-year stalwart, whose kitchen flies in some 20 fresh seafood options daily. Real charcoal grills and a hearth inject deep char and smoke into toothy grilled octopus, baked shrimp with tomato and feta, and Greek-style whole red snapper, grilled with lemon and fresh oregano. Pair it with Boutari Kretikos, a floral, lightly mineral white wine that hails from Crete. The spacious, wood-accented dining room, draped in blankets, handwoven baskets, and Greek sundries, is an inviting spot for a casual evening out with good friends. This sunny cafe, bakery, and retail shop has been plying the neighborhood with authentic Mediterranean sweets and savories for over 20 years. A heated display showcases their famous “artopitas”—flaky, puff pastries stuffed with spinach and feta or black forest ham, cheddar, and mushrooms. A wide range of soups, salads, wood-fired pizzas, and sandwiches on hearth-baked bread make this the perfect spot for a light lunch. Don’t skip dessert, like the classic Loukoumades (honey-doused puffs with cinnamon, nuts, and sesame seeds) or almond baklava with rose water filo dough—both ideal matches for a deliciously intense pour of Greek coffee. 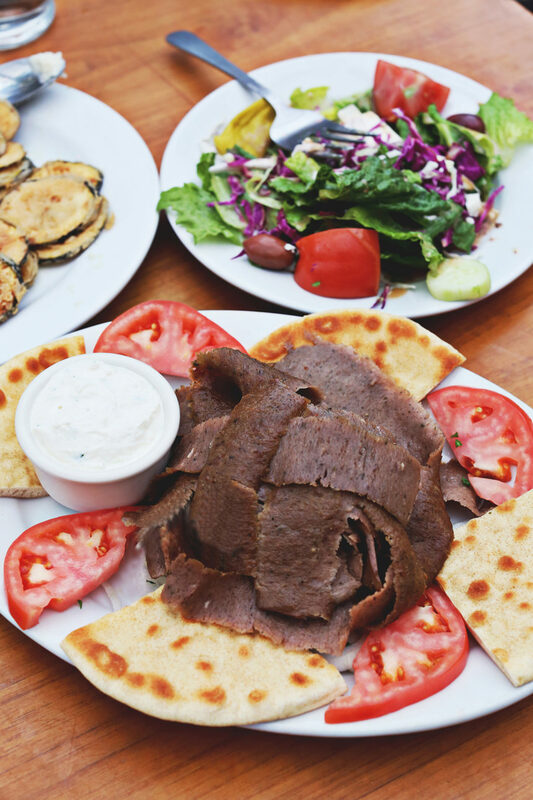 We couldn’t very well leave Greece’s most famous meaty import off this list, particularly since the industrially made gyro meat cone originated in the Windy City. You’ll find some of the city’s best crispy-edged, beef-and-lamb gyros at Zeus, an unassuming little storefront just west of Halsted on Jackson. Dolloped with tangy tzatziki, wrapped in a warm pita with juicy tomato and onion, and served alongside a pile of crisp fries, this garlicky, meaty sandwich will fill you up for less than $9. This sleek spot’s status as a brunch destination multiplied this spring when it added a brand-new 80-seat patio, bringing its outdoor seating capacity to 300, thanks to a retractable roof. Year round, the bright, airy dining room with a bubbling water feature is a relaxing spot to share refreshed Greek classics ranging from light (stuffed grape leaves and garlicky roasted eggplant spread, or marinated octopus with celery and carrots) to decadent (moussaka, with eggplant, zucchini, potato, and beef and cheese doused in bechamel sauce, or a half-pound charbroiled burger). If you’re jonesing for that comfy Americanized Greek experience that’s still high quality, head for this sprawling spot—a fixture of Greektown since 1971 (with a second location in the suburbs). Here, among the tchotchke shelves and Greek flag color scheme, you’ll hear familiar cries of “Opa!” as waiters set sturdy Greek cheese aflame with ouzo. (Saganaki was born in Chicago in 1968, at the Parthenon, which recently closed.) The Greek Islands’ massive menu is chock-full of highlights like tender keftedes (lamb and beef meatballs in a pool of sweet tomato sauce), garlicky house-made gyros, and succulent baked chicken with herbs and lemon. Fun fact: The owner has lavraki (a type of sea bass) flown in weekly from Greece, if you’re seeking something more authentic. All the Greek wines by the bottle will set you back less than $30, so grab a few friends and stay awhile. *Featured photo courtesy of Santorini.